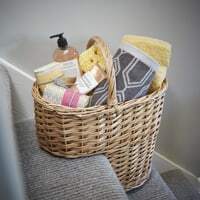 Willow step basket at a great low STORE price. 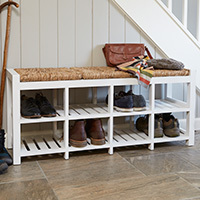 Great for clearing piles of clutter on the stairs waiting to be taken upstairs. 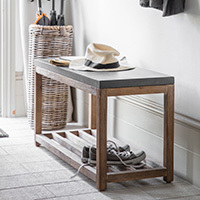 Contemporary space-saving ashwood console table with 2 roomy storage drawers. 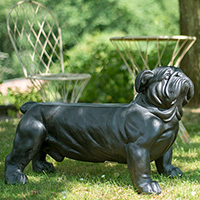 Ideal for use in the living room, hallway, dining room etc. Gorgeous chunky piece for your greenhouse or potting shed with three large drawers to store your seeds, string, scissors etc, and a large shelf at the bottom for your pots and wellies. 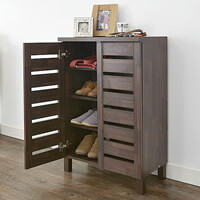 Slimline lockable wooden storage cabinet with 3 internal shelves and a wide storage drawer. Available in a white and grey finish. 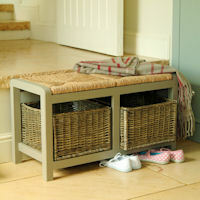 Carbon colourway storage bench with lift up hinged lid. 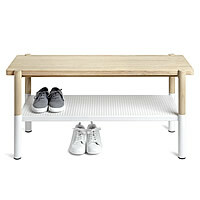 Ideal for using in the hallway, by the back door or as alternative seating at the dining table. 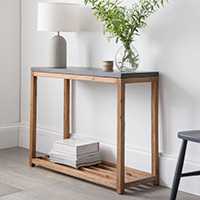 Contemporary acacia wood and cement fibre console table. 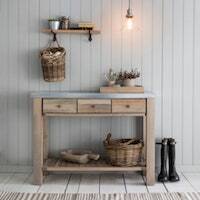 A slimline choice for clearing the clutter in a hallway etc. 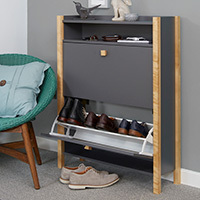 Clear your hallway or boot room clutter with our new elfa classic shelving, hanging and drawer storage solution. FREE Design Service Available if this size is wrong for your available space! 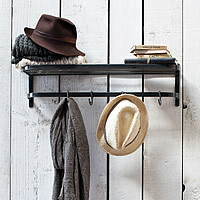 Raw steel wall mounted luggage rack style shelf and hanging rail with 4 storage hooks. 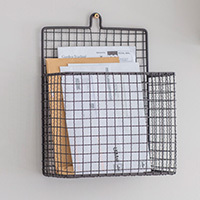 Wirework letter holder with a retro touch. Ideal for paperwork, letters, documents and magazines. 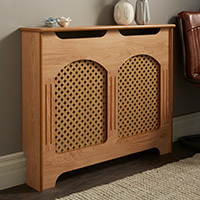 Wooden radiator cover with an oak finish to stylishly cover radiators whilst providing an additional ornament display shelf above. 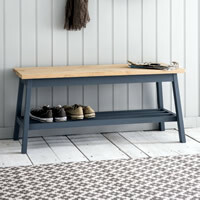 Low set hallway bench with a touch of Nordic style. 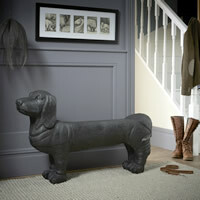 Crafted from solid Ash wood with stained Carbon colourway legs. 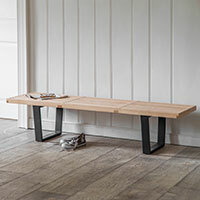 Slimline hallway bench crafted from untreated solid oak wood with a removable top cushion. 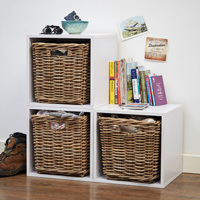 Set of three white modular storage cubes with three rattan baskets. Can be used in a variety of configurations. 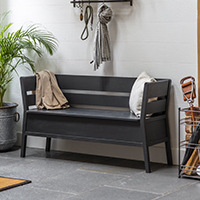 Contemporary acacia wood and cement fibre hallway bench. 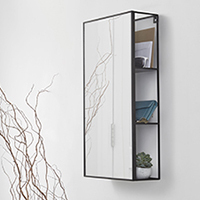 A slimline choice for clearing the clutter. 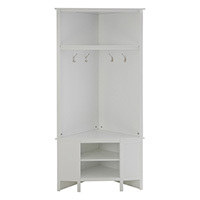 White shaker style hallway corner storage unit. Includes space for shoes, bags, jackets, scarves etc.